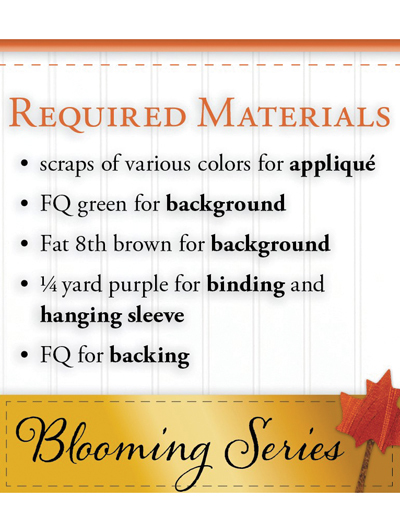 Celebrate the gorgeous colors of autumn! 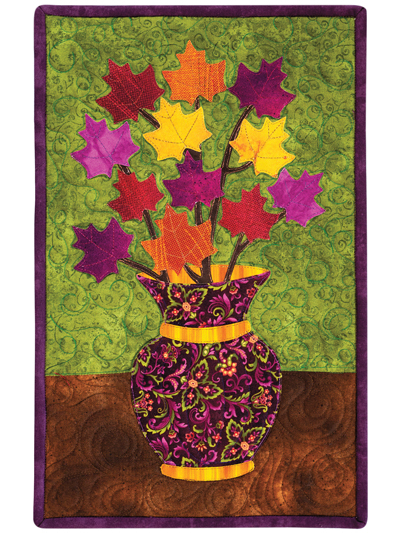 Put your applique skills to work with this gorgeous wall hanging. Don't forget to grab the other 11 wall hanging patterns, featuring seasonal bouquets that will keep your home in style all year round! Pattern from Shabby Fabrics. Finished size: 11" x 17 1/2".